How Can I Go 3D Floral Design? 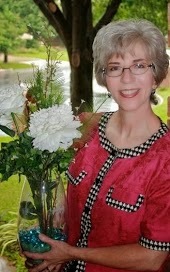 Where is 3D Floral Design in North Richland Hills on the Map? The owner is a life saver and a the core, a wonderful person. Past 4:00 pm on a Friday, I called desperately asking if a floral arrangement could be delivered same day. What are the odds? My nieces were competing in Region Gymnastics in Ft. Worth and I need them to have something specical when they get back to their hotel room that evening. The owner mae it all happen including asking her driver to come back after she'd left for the day. Then she followed up with the hotel to ensure delivery to the guests. Service over and above!!! The arrangement itself...stunning. Thank you!!!! Carmen does the most wonderful work for any type of floral arrangement. She blessed me with a beautiful arrangement for my wife's 60th birthday called "Ivory Coast" that had Ivory colored roses that will take your breath away. If you have not had a chance to get one of her arrangements you need to do so for your next occasion. I have been doing business with 3D Floral for over 2 years and they are by far superior to any other place in the DFW area. You and the loved one you buy for will be blessed. This shop is the absolute best place flowers anywhere around! The owner there is the sweetest and will go out of her way to make sure you have exactly what you need when you need it, within your price range, and does extremely beautiful work!!! I cannot recommend it highly enough! 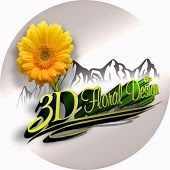 I have used 3D Floral Design many times. And the creative work of the arrangements are Beautiful. The flowers are so fresh and the care Carmen takes is wonderful!! This is a florist who knows how to treat clients. Thank you so much 3D Floral Design!!!! So fantastic, friendly service, affordable and fresh beautiful flowers. You made my Valentine's day special with my beautiful hyacinths. Thank you! !